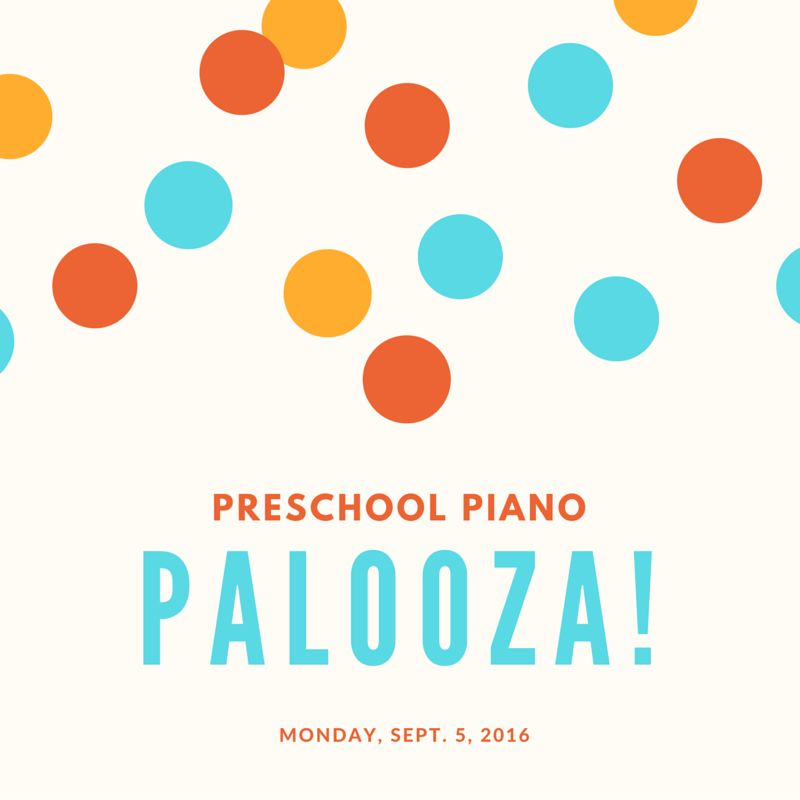 Woods Piano Studio: Preschool Piano Palooza! You’re invited to come to our Preschool Piano Palooza! Watch your 3-6 year old play a real song on the piano, enjoy autumn themed games, and explore music through singing, apps, rhythm instruments and more in this FREE 30 minute class! This is a great way to sample our regular preschool piano classes! Space is limited! Register online at http://www.woodspianostudio.com/p/blog-page_55.html (put “Palooza” in the skill level slot) by August 22nd to reserve your spot! Looking forward to seeing you there!